Hanging on to the past at the expense of future. Sedin's cost us lots but was it worth it I say yes get over it . Now we are moving in the right direction, move a couple of players for picks and move on manage your assets. Trade for picks. 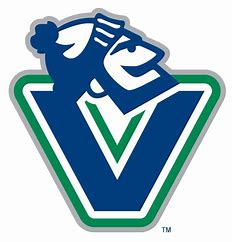 Out Virtanen, Markstrom, Goldobin, Hutton, Granlund, Sutter, Stecher Spooner, Pouliot, Schaller Tanev. Some of these should get a second ,third, maybe a first. Package for a young D man if you can. If we take a D man this is the guy I want Broberg Demco, Virtanen, Madden, 2019 first rounder, and 2020 first rounder. Precisely, If Brackett would have come on board at the start of JBs tenure where would we be now ? Hopefully Brackett gets us a goal scorer, D can be picked later. Buffalo is looking for scoring help Virtanen gives them this .I'm not sure we keep Virtanen trading him for right D help is a better option do you have to add maybe, but not our first. Subban you got to be kidding . His ego would be toxic in a young locker room. Sign Karlsson 7 x 10 mil is that who you all want. He Sounds like Erik Karlsson big reward, big risk, big minus . Yah until the playoffs start. Two choices really sign a big name free agent on D and left wing . Or stay the course draft and trade extra players for picks. I for one would like to see us draft and trade for picks, I would trade for another first rounder, Give all our young players a chance to develop . Another year at sucking than see whats available .Scoring should be our focus in the first round No to drafting anymore small D. If you look at the playoffs to date you will see that size and speed maters. Lavoie, Kaliyev , Broberg and Seider would be my targets. Move as many vets as posable for picks next year at the trade deadline. Than see what you got . Trade Markstrom for Riemer and Florida's first. Demko alone should get the 4th pick in the draft adding our 10th would be just Dumb.